In recent times, many ladies are searching for options that can make them have a slim body. This is because they believe it brings beauty to their physique, little wonder the popular saying in Nigeria, that "lekpa naim dey reign", a "Pidgin English" statement which when translated to normal English means, "slim body is actually in vogue". With the much quest, many ladies are still finding it extremely difficult to attain this state, i.e. the slim fit body that they desire. A lot of diet and lifestyles needs to be put in place if truly as a woman you really want to have a slim body and maintain it the way it is. 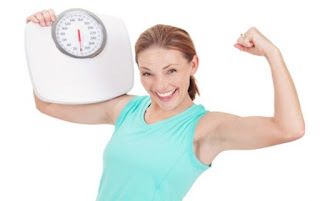 In this post i will be revealing to you top 20 tips for getting slim body and maintaining it, and the good thing is that they are quite simple and achievable. You can take notes of the important ones you will like to stick to, happy reading! When you drink lots of water regularly, it reduces your chances of eating a whole lot more. For example, when you find yourself in a situation where you are craving to have to sumptuous snack, pause and drink a glass of water and see if that craving goes away. Most at times you feel hungry again after supper, and you find ourselves eating a high calorie snack before going to bed. This act alone is dangerous to your health because you do not work off the energy the food provides before going to bed. The energy is later accumulated and turned into fat. So you can now see how important it is to stick to low-calorie snack, or to be on a safer side, avoid snacking as a whole at night. It is not a must that you should completely stop eating those foods you love. What is important is that you should consume those foods in moderation. Simply reduce the rate and size at which you consume your unhealthy food and snacks, and try not to eat them more often. It is often difficult to manage your calories when you eat 2 or 3 big meals per day, as you become very hungry in between meals and often overeat. To make it easier on yourself, eat 4 or 5 smaller meals a day. It is quite obvious that protein fills you up much more than carbohydrates do, and also keep you feeling full for longer period of time. It is also better for burning fat, as well as helping with muscle building. You can eat food like dairy products, nuts, lean meat and seafood. Research has shown that adding spices or chilies to your food can help you eat less. The reason for this is because it stimulates your taste buds, which makes you feel more satisfied. It is a lot easier to eat healthy if you only have healthy food in your house. You should also make sure that it is easy-to-make food, so that you will not be tempted to buy take-aways when you don’t have time to cook. Although you might think that skipping breakfast is a good way to cut down on calories, but in the long run it can actually be a bad choice. When you do not eat breakfast, you can become hungry before lunch and have snacks that will get you calorie count soaring higher. Always include fiber in your diet as well. Fiber helps with digestion, lowers cholesterol and aids in weight loss. Good sources of fiber include oatmeal, whole grains, fruits and veggies and beans. When your cupboards are stocked with unhealthy foods, you make it easier for yourself to give in to temptation. When you want a snack, go to the shop and get a small, once-off snack instead of a whole bunch of them. Weight loss is not something that happens overnight. You should focus on losing small amounts at a time. It might take a little bit longer than you want it to, but when you expect too much too soon, you might get discouraged and stop trying. Studies have shown that people who weigh themselves regularly tend to lose weight more successfully, as you know where you stand relative to your goal weight. It is recommended that you weigh yourself once a week to track your progress. When you do not get enough sleep, you feel tired and don’t have energy. When you don’t have energy, your body craves food in order to get some energy. Then you tend to eat all the wrong things and consume too many calories. It is as simple as that. It is important to understand how big your portions should be. Use a kitchen scale in order to get an idea of what the right amount of food is for your diet. When it comes to snacks; split it up into portions instead of eating it straight from the package. When you eat the right foods, you can afford to eat more of it. Fruits and vegetables will also help you feel fuller, and supply you with vitamins and fiber that you need. Alcoholic drinks can quickly add up in your daily calorie count. Since alcohol is very high in calories, you should try and steer clear of it as far possible. When you feel hungry or want a sugary snack, try some sugarless gum instead. A lot of times when we think we are hungry, we are just bored, and want something to nibble on. Plus, it will make your breath minty fresh, adding to your oral health. When keeping track of what you eat every day makes you more aware of the calories that you take in and might help you think twice before going off-track. Tip 20: Celebrate success – but not with food! The last but not the least tips. Set yourself some smaller goals at certain milestones along the way to your goal weight. But do not go and mess up the hard work with an entire pizza! Instead, buy yourself something nice like that pair of shoes you wanted, a new Smartphone or a DVD player. Do you find these tips interesting? Then you should try each or some of them out and see how positive the outcome will be. Don't just enjoy this piece alone, kindly use the social share icons below and share with you friends on various social networks like Facebook and Twitter. Thanks for reading.